Invasive species are a serious threat to the health of the Great Lakes ecosystems. You have been selected to investigate the impacts on the Lake Erie ecosystem of a specific invasive species – what is currently happening, what we can predict may happen, and the potential outcome if nothing is done to address the problem. Then, you will identify actions we can take to prevent further damage by the species, such as measures to stop the spread of the species as well as control its current population. Your plans will also take into account the social and economic considerations of the human population in the Great Lakes region. You will present your research and action plan in a format of your choosing. Your options include the creation of a website, the production of video/slideshow documentary, a town hall meeting style presentation, or a traditional report. Before students could even begin to design solutions to invasive species, they had to understand how healthy ecosystems worked. We spent a fair amount of time working with basic vocabulary and concepts, such as biotic and abiotic factors, relationships in ecosystems, and food chains and food webs. 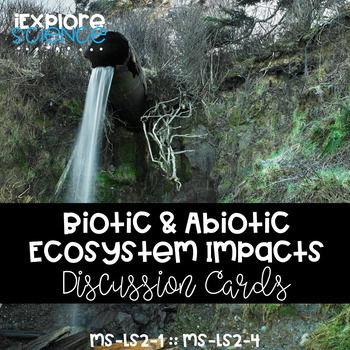 Students explored and predicted how changes in biotic and abiotic factors would impact ecosystems in this activity. And they created food chains and food webs from “field notes” that required them to use vocabulary (preys on, predator to, producer, etc.). I actually used two versions of this — the first was the NSTA activity that inspired this material. 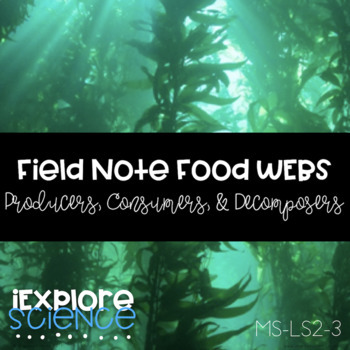 I found in a recent Science Scope issue an activity just like this, where students were presented a chart of “field notes” about a pond ecosystem and had to build a food web from the information provided. We completed that one together, reviewing which way the arrows point and remembering to include where producers get their energy from and so on. To assess student mastery of this concept at the end of the unit, students completed the version linked to the left. In addition to these application-type activities, students were assessed through exit tickets and traditional quizzes. Students took a quiz on general ecology concepts at the end of the first “section” of this unit (the healthy ecosystems stuff), and then we moved on to a look at invasive species and the damage they can do to an ecosystem. I used this great site called Newsela to introduce invasive species. Newsela is a news website with tons of current event articles that have been rewritten at various grade levels. When you find an article you want to use, you can adjust the reading level before printing/assigning to students/etc. The articles are free, and I have used this a TON in my classroom this year. The only thing I am not a fan of is their quizzes – they are really basic and require very little critical thinking. The articles themselves though are AWESOME! Anyhoo, I used a news article about lionfish in the Gulf of Mexico to introduce invasive species. We also read about cane toads in Australia in our Life Science Daybook texts, and we read several other news articles taken from Newsela and our local “Newspapers In Education” section of the Erie Times News. Students were able to read, discuss, and learn from real life examples of invasive species and the damage they can do. In addition to lionfish and cane toads, they read about nutria in Maryland, stink bugs in North America, asian carp in the Mississipi River and Great Lakes, tegu lizards in Florida, California king snakes in the Canary Islands, the emerald ash borer in Pennsylvania, and other aquatic invasive species in Lake Erie. As we worked on the unit’s final essay, brainstorming evidence to scaffold them into constructing these essays independently, it was so exciting to hear them name these species and explain the damage they were doing. They totally took ownership of these topics, and through various “jigsaw” type activities, became “experts” on these issues. 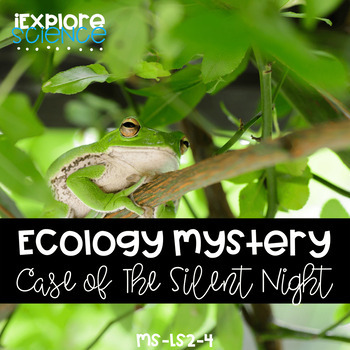 We also did a really fun ecology detective type activity called “The Mystery of the Silent Night: Where Have All The Tree Frogs Gone?” They LOVED this one! Sifting through various clues (everything from diary entries to newspaper articles, advertisements, company memos, etc. ), students had to determine the cause(s) of a sudden decline in the tree frog population in the fictional town of Mayberry. They then had to write a “Claim-Evidence-Reasoning” paragraph to support their explanation, which I assessed with the rubric linked here. 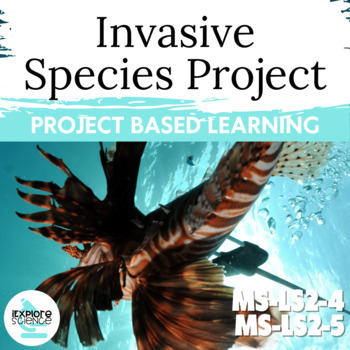 The final unit assessment was the Invasive Species Project, which had students researching a Lake Erie invasive species and designing a solution to either prevent its spread or decrease its population. Students worked in groups, selecting their species randomly through a “drawing” from the top 10 invasive threats to Lake Erie. They created a “Wanted” poster for their species and then developed a proposal for their solution to present to the class. 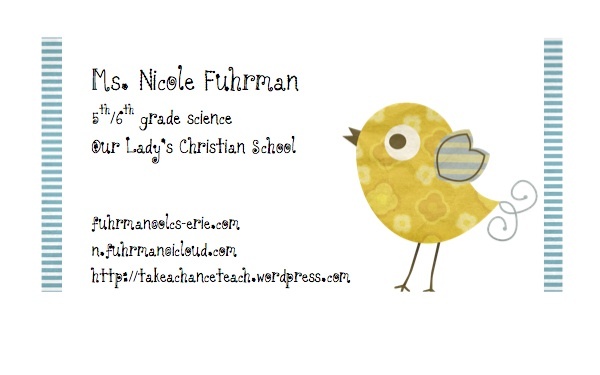 I have included teacher and student instructions, rubrics, and a research organizer for this project in my TpT store. Students also took a multiple choice test on the unit’s vocabulary and completed an essay assessment in which they answered the unit’s original question. Because it was the first essay test they have done, we did the planning together. We broke down the original question (What happens when something disrupts the ability of an ecosystem to meet the needs of the organisms in it?) and developed a structure for student responses. What happens when something disrupts the ability of an ecosystem to meet the needs of the organisms living in it? Paragraph 1: How does a healthy ecosystem work? Paragraphs 2-4: Give a specific example of a “disruption” to an ecosystem and explain how it affected the ecosystem Paragraph 5: What can humans do to prevent these “disruptions” that throw off the balance in ecosystems? What can humans do to “fix” disruptions that have already occurred? This unit was definitely a success, and I am constantly impressed with the level of work I get from my students. They did an awesome job with all of these activities, and it felt really good to finish a clear, cohesive unit and feel like I kind of know what I’m doing! Yay for Year #2! At the NSTA’s Boston Conference this year, I attended a Professional Development Institute on the Next Generation Science Standards. Since then, I have been looking forward to taking the time to review the standards in greater depth and consider how I can incorporate them into my curriculum. I am pretty lucky to work at a private school that gives me a good deal of freedom with what and how I teach. I have a set of standards for each grade level – but to be honest, they are nearly identical. There are perhaps ten changes between fifth and sixth grade’s seven page documents. I have been thinking how challenging it is to cover all of that material in one year’s time (and actually, in only three quarters of the year, because I am supposed to teach health as well! ), and really, how unfeasible it is to truly explore the content. As I started to brainstorm some approaches for next year, it occurred to me that because I teach two grades, and these middle level grades are all working towards the same school curriculum documents and NGSS standards, I could divide the curriculum in half. Fifth grade could explore one half of the seven page list of standards, and sixth grade could cover the other half. This allows us to take enough time to truly engage with the content and build science practices, instead of just memorizing and “spitting back” a cursory overview of the topic. Right now, I’m leaning toward starting with the physical sciences in fifth grade (matter and energy), moving into earth science (energy resources/natural resources), and ending with a unit on weather, climate, and global warming/climate change. Then in sixth grade, they would begin by taking a broad view of life science through the study of ecology, move into biodiversity, and end with a focus on biology (organisms, life cycles, adaptation, anatomy, etc.). Additionally, I plan to include a “citizen scientist” project and/or a service learning component. With this approach, I would still meet all the standards I am required to over the course of two years, but students would have time to reach deeper depths of complexity and understanding. While the other lesson plan templates I have made focused on Common Core State Standards and 21st Century Skills, this template is designed for lessons that align with the NGSS. There are spaces to checkmark which Science and Engineering Practices students are developing and also which Crosscutting Concepts are to be incorporated into the lesson. It also has room to record the Disciplinary Core Ideas that the lesson will address, as well as the Performance Expectations students are working toward mastering. On the second page, there are spaces for you to record your lesson’s Warm Up, Instruction, Activity, and Assessment. I plan to create more designs for this template, utilizing different colors and patterns. Do you have any designs you would really want to see? I am always up for suggestions! So yesterday a fellow science teacher and I spent the day traveling from good ol’ Erie, Pennsylvania to Boston, Massachusetts for our first day at the NSTA’s National Conference on Science Education. Today we will be attending the Professional Development Institute for a day-long program on the Next Generation Science Standards. Right now, I am (well, obviously updating this blog but also) waiting for my fellow teacher to get ready to hit the road! We stayed last night in a hotel just south of Boston, so it will probably be a 40 minute drive to the Convention Center. Side Note: I really have no idea how this happened, because usually I make great time on the road, but it was only supposed to take us 8.5 hours and it definitely took us closer to 10. It was a long drive and kinda sucked. I mean, I have done long drives before (and alone at that!) from Erie to Charlotte (and on several occasions! ), but this drive definitely felt longer. Maybe it was because we were literally on I-90 for like 400 miles (that’s just a guess, I don’t know exactly how many miles). 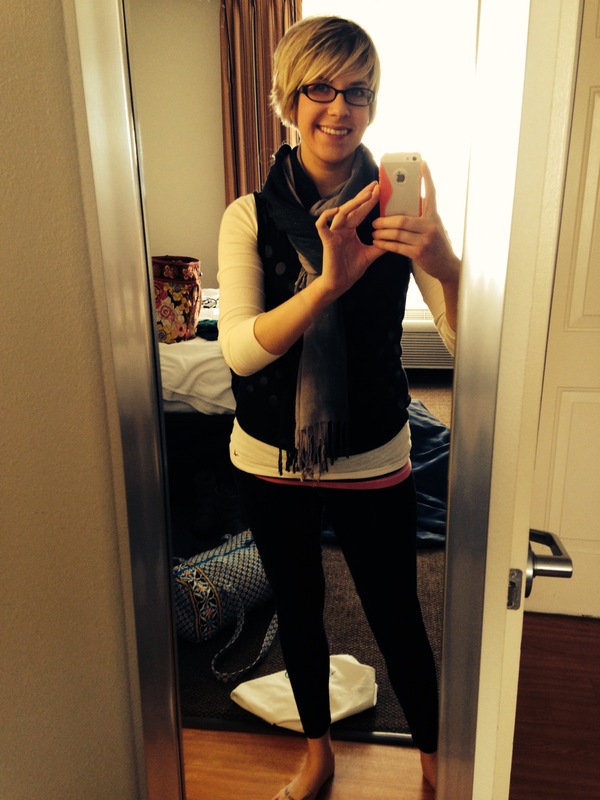 Ugh, I hate mirror-selfies and this picture as a whole, but I don’t have time to be picky, and I feel like I need to justify how my leggings look is still cute and not ridiculously casual. Anyway, so now I am in Boston and ready to go! The PDI session I picked is called “NGSS 101: An Introduction to the Next Generation Science Standards.” Basically, it is a look at the new standards, what they mean, and how to adapt teaching and classroom learning toward implementing those standards. I expect to learn a lot… but I’ll let you know! When I saw this in the gas station (even though we were still about two hours away), it made me feel better.